Brainwashed - M. Geddes Gengras, "I Am The Last of That Green and Warm​-​Hued World"
Over the last decade, M. Geddes Gengras has released an enormous catalog of wide-ranging, synth-focused music in both solo and collaborative settings. He has participated in influential experimental groups like Sun Araw, Pocahaunted, Robedoor, and Akron/Family. Along with Sun Araw's Cameron Stallones and Alex Gray, and a host of Jamaican singers and artists, Gengras continues to blur the boundaries of dub and electronic music under the name Duppy Gun – a project which crystallized with an acclaimed collaboration called Icon Give Thank (RVNG, 2012) with roots reggae legends The Congos. I Am The Last of That Green and Warm-Hued World, Gengras’s first release with Hausu Mountain, follows in the more ambient- and drone-focused vein of his work, as explored on recent releases with labels like Leaving Records, Umor Rex, and Room40. The album stretches through an 80-minute program of layered synth mosaics and expanses of serene drift that continually shift and reconfigure themselves into networks of interlaced harmonies and electronic textures. At any given moment, huge foundations of low-end drift swirl beneath angelic pads and soaring, quasi-melodic leads, as layers of environmental foley drip into view around the margins. Synth tones evoke the timbres of human vocal formants, stuttering digital glitch, or unidentifiable hand drum percussion. Mixing disparate sounds and moods in his palette, Gengras paints a mental journey through diverse emotional zones: quiet meditation under the desert sun at noon, ego-destroying tidal wave swells slamming onto the beach, confused wandering through hostile territory under the cover of night. I Am The Last of That Green and Warm-Hued World came into existence after M. Geddes Gengras's father appeared to him in a dream and suggested that he read Stephen King’s The Dark Tower: The Gunslinger. 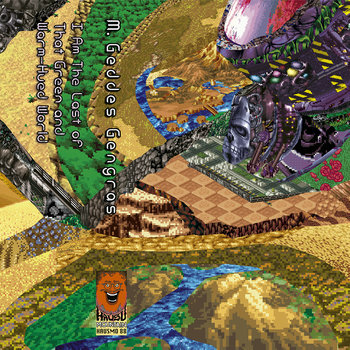 The vivid, post-apocalyptic locales visited in the book, which range from mountain ranges to atomic water pumping stations to interdimensional portals, directly inform the auditory spaces that Gengras draws into life with this album. 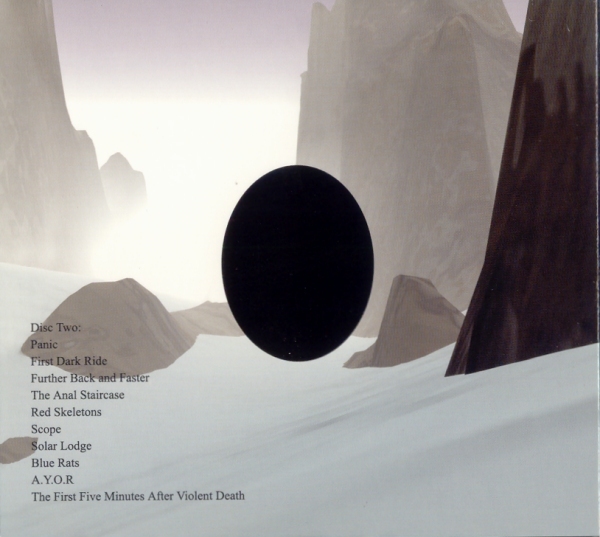 While ambient music often reaches the listener with a host of external signifiers meant to ground the music in some semblance of the physical world (see: oceanic album art, song titles that evoke specific images), Gengras’s music achieves a rare degree of topographical intricacy by virtue of his wide, dense mixes and the contrasting textures presented by his interlocking tiers of synthesis. Over the course of five extended sessions that range from 11 to 22 minutes each, the album sinks into passages of near-complete stasis and crests into segments animated by intermittent bursts of melody and muted, techno-adjacent drum tones, settling into discrete atmospheres that percolate at different degrees of rhythmic complexity. All the while, M. Geddes Gengras allows individual elements to generatively interact and twist around each other to the point that no two moments present the same exact sounds. A far cry from willfully repetitive, loop-based ambient music, I Am The Last of That Green and Warm-Hued World extends before the listener as a fluctuating, self-contained biome, with the components of each composition carefully stacked together and charged with their own trajectory through time and imagined physical space. More information can be round here.